The technology revolution is rapidly disrupting all aspects of life, redesigning processes and the ‘old’ way of doing things, especially in the world of retail. However, this isn’t something to fear, with the disruption comes positive changes for both the customer and retailers. But, these changes require a new way of thinking, especially for those working in offline retail. 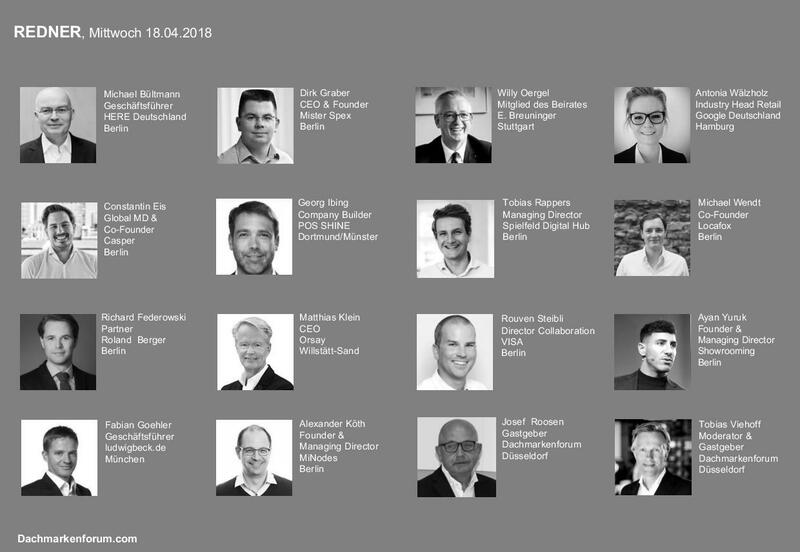 Led by the pioneers, designers and thought leaders of the industry “Handel [4.0]” by the Dachmarkenforum explores the digitization of offline retail in parallel with the online world. Join us and the experts and take part in a day of discussions, pitches and getting hands-on with the future of retail. After receiving your registration you will receive a registration confirmation by email.